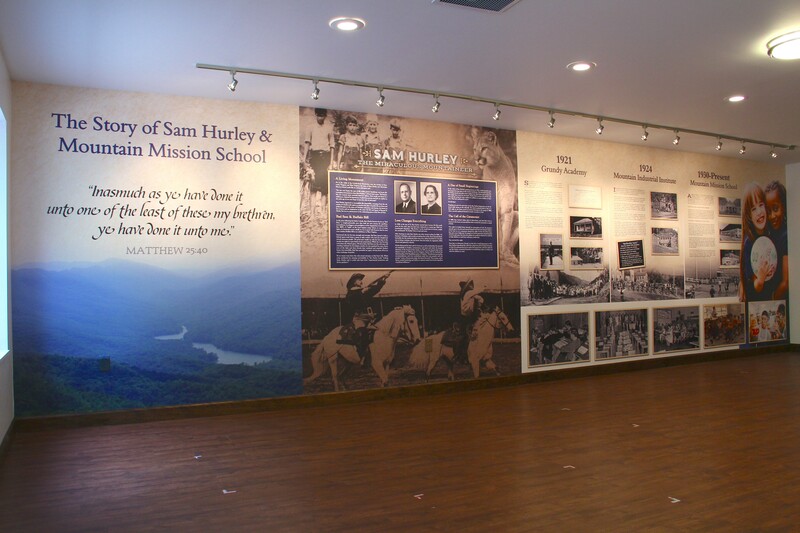 This wallpaper mural was produced for the Mountain Mission School in Virginia. In a way, it’s a museum display that talks about the history of the school. But it’s also something that talks about the mission of the school and sets the tone for what happens there. They gave us great artwork, and they have a beautiful installation. What’s also cool about this job was that we produced it in a day. We got artwork on Wednesday, printed and shipped the wallpaper on Thursday, and they had it on Friday for installation over the weekend. While we prefer to work with a little more notice, it can be done! When you need a custom wall mural, whether in a hurry or not, give us a call! This entry was posted in Custom Printed Wallpaper and tagged christian wallpaper, museum wallpaper, school wallpaper, wall murals. Bookmark the permalink.